Well, Chitty Chitty went off with a Bang, Bang!! 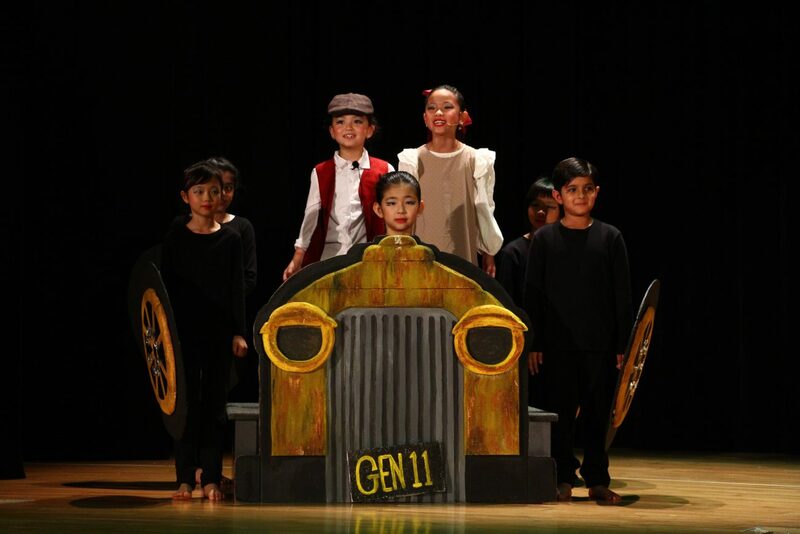 Our children, families, invited guest and staff were treated to an incredible performance supported with student created props and stunning costumes to make the show a roaring success. What you might not know is how much the show promoted some key characteristics of or AAROW’s of Success, Achievement, Agency and Opportunity. Watching the children practice and practice, learning from their mistakes and persisting and then presenting four incredible shows was ample evidence of student achievement. 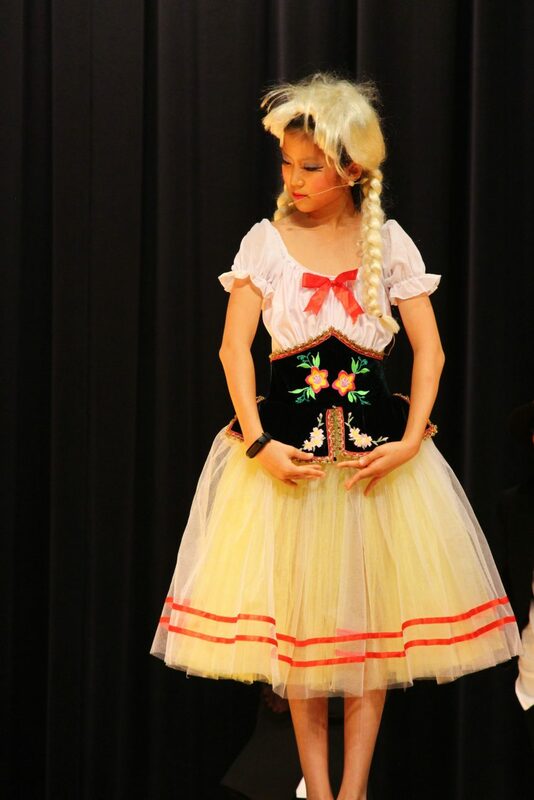 170 children stepped up and asked to be part of this show, taking advantage of the opportunity to learn through the arts. What stood out most was the level of agency in this production. 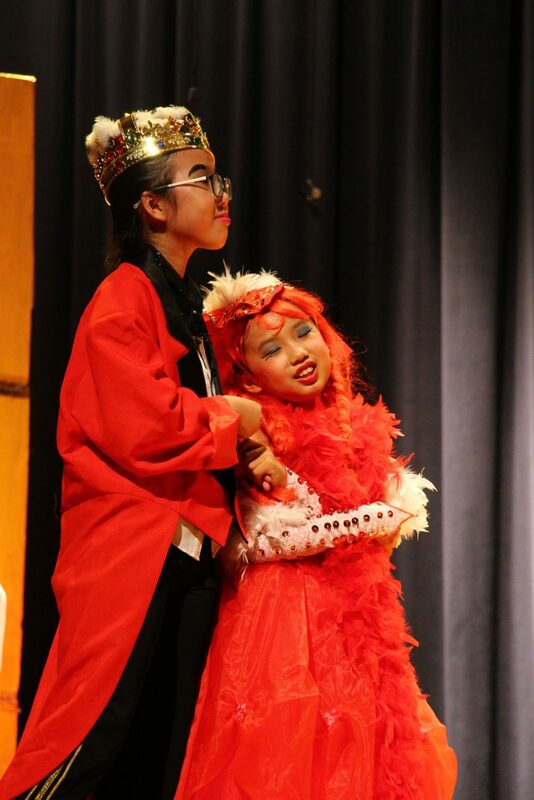 We had children making decisions for themselves and others about props, dance moves, backstage work, lighting and sound, and front of the house. Our children ‘owned’ this show! Their feedback has been very instructive as we plan ahead for expression through the arts in the next academic year. You can be sure we will continue to celebrate and innovate in the arts at KJS. You can also be sure that whatever is selected for the next year will be driven by student voice and involve student choice. Enjoy the week ahead. Next week, our camps begin. This is another wonderful expression of our AAROW’s with achievement, opportunity, respect and wellbeing featuring highly for our children. Thank you to the dedicated team at KJS for making learning such a positive experience for our children. 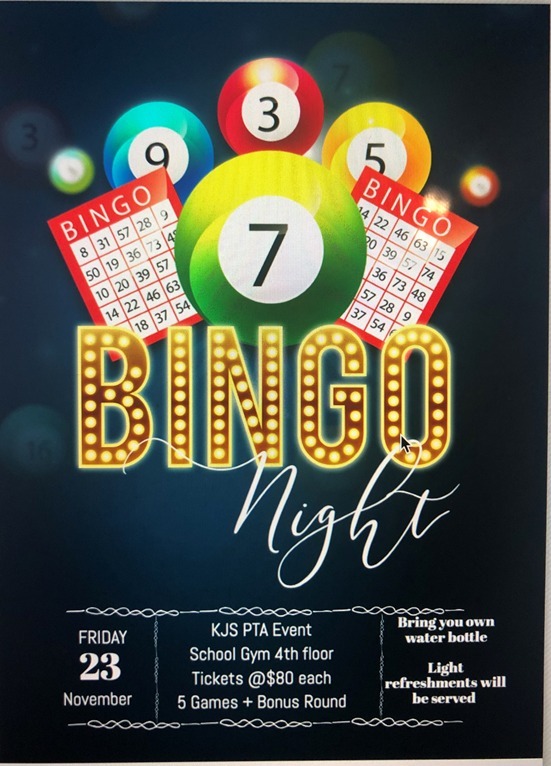 I hope to see many of you at our Friday Bingo night! We are pleased to welcome children’s author, illustrator, and storyteller, Gail Clarke, to our school on Thursday, 29 November 2018. Her animal adventure stories, based on the themes of migration, animal journeys and looking after our planet, are told with the help of her storybook friends: Patrick, the excitable African grey parrot puppet, Cosmos, the curious baby humpback whale, the very green Chameleon, and Jed, the hammerhead shark who wants to explore the oceans. If you would like to look at or buy one of Gail’s books, they will be available after school on the day of the visit or order forms may be obtained from the KJS library. Students in Years 4-6 are also welcome to visit us after school to meet Gail. For more information about her books, please click here . 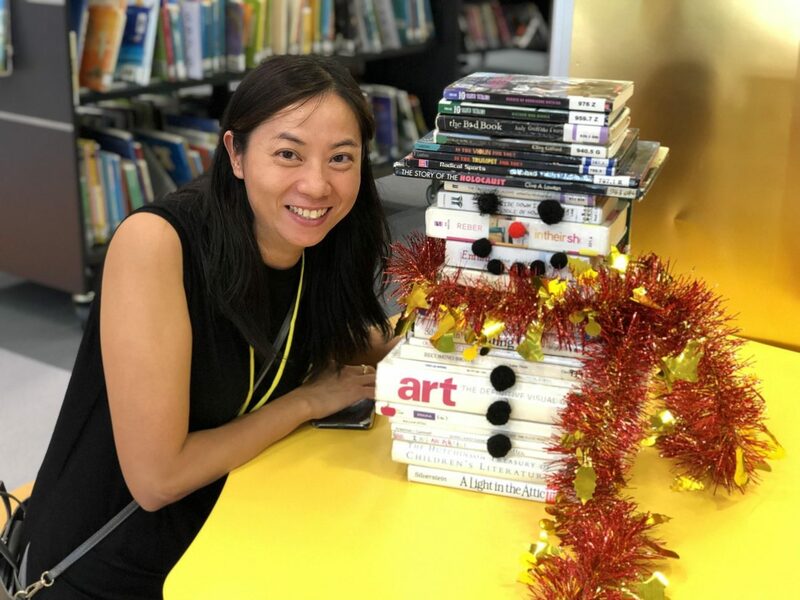 Thank you again for our lovely parent volunteers, Nancy Wong (Parent of Alexander Fung in 1K) and Monny Ng (Parent of Chloe Cheng in 1K), who are starting to decorate our library with Christmas decorations. 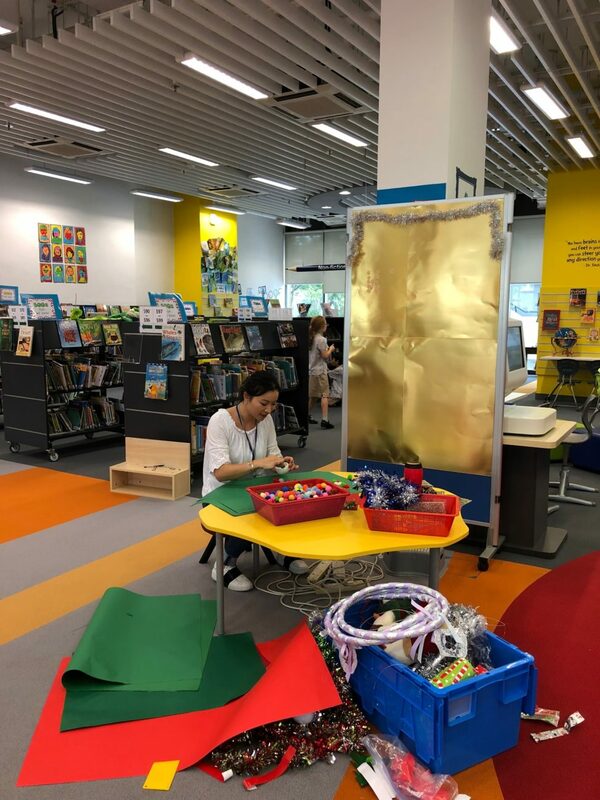 Other parent volunteers have also come to our library to help with book wrapping, shelving and library lunchtime play. Thank you so much for your support. If you have any further questions or interested in helping with the library, please contact us at library@kjs.edu.hk. Our much-awaited Bingo Night is on Friday. We look forward to seeing you and your families at this event. 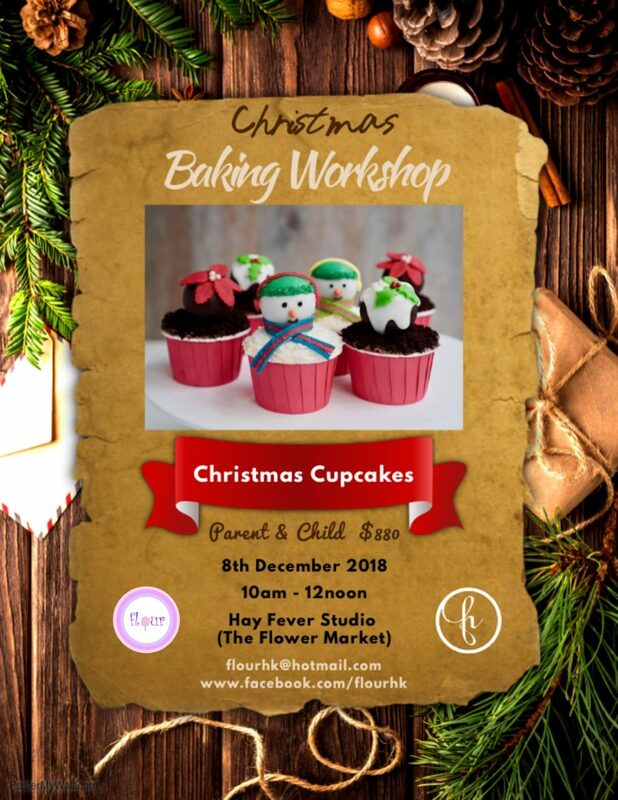 Tickets are still available and our advice would be to purchase your tickets as soon as possible if you haven’t done already so we can make sure we have enough light refreshments for everyone. The all-inclusive $80 ticket gives you 5 games, light refreshments and a bonus round of Bingo too. Please remember to bring your own water bottles which can be refilled at the event. A reminder that this will be a non-alcoholic event so kindly refrain from bringing your own drinks. We will have our school fair on Saturday 16 March 2019. Once again, we look forward to having you there. Thank you to all our raffle prize sponsors and everyone who has contributed to the school fair so far. We are still in need of volunteers, International Food Stall teams and team leaders, auction items, and sponsorships and donations. If you would like to get involved, please get in touch with us at pta@kjs.edu.hk. We look forward to seeing and meeting our Class Representatives at these meetings. 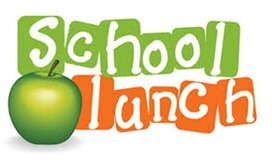 We meet at 5:00pm in the School Library. More details of our School Disco will be released very soon. The hot meal service at school began this week. If there are questions or concerns about this service, kindly email us.